The FSCC John Deere Technician Training Program provides students with quality, hands-on training and real-world experience. Through the program, students learn how to troubleshoot, service, repair, and rebuild John Deere equipment. Students also get the opportunity to work at a sponsoring John Deere dealership. Upon completion of the program, students will earn an Associate of Applied Science degree. The program can be completed in five semesters, or approximately 21 months. Through the program, students learn in three different settings: on-campus in the classroom, on-campus in hands-on laboratory activities, and internships at a John Deere sponsoring dealership. Each specialized subject is studied on-campus in the classroom and in the laboratory. Two half-semesters (eight weeks each) are spent in an internship at a sponsoring John Deere dealership to apply the subjects learned on-campus in real-world situations. Because considerable time is spent working at the dealership, this program requires students to have a sponsoring John Deere dealership. 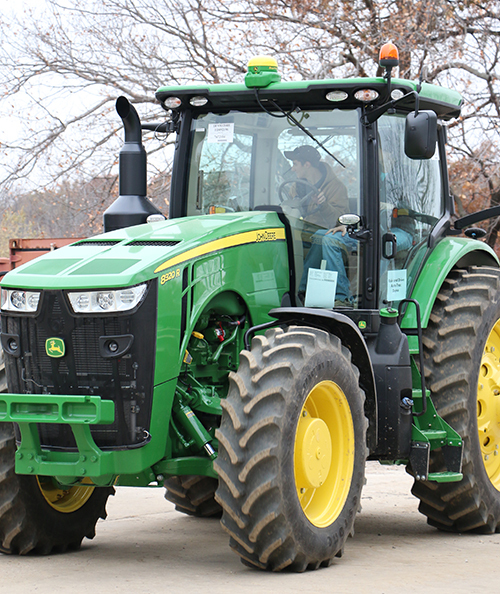 Students can request assistance in locating a sponsoring dealer from one of the FSCC John Deere Tech instructors. The main responsibility of the dealer is to provide training-related employment for the student during the work experience periods.